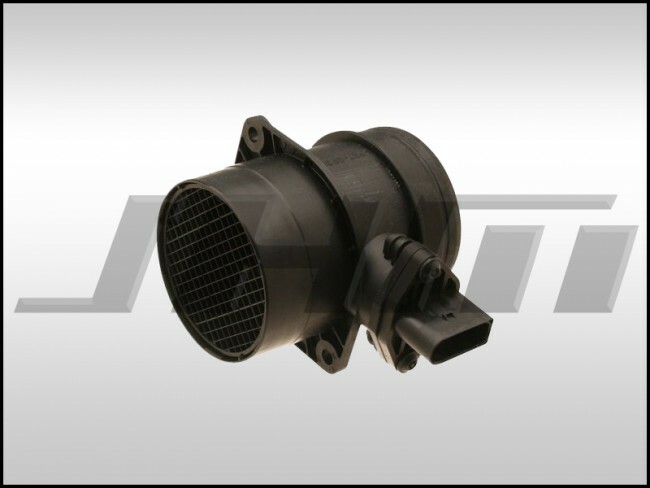 This is a brand new, OEM Bosch Mass Air Flow Meter (or MAF) with housing for the 1.8T engine with the following engine codes: ATW, ATC, or AWD. These engines are found in the B5-A4 1.8T, the Audi TT 1.8T, and the VW Golf, Jetta, or Passat. Confirm the engine code in your vehicle to make sure you have one of the engine codes listed in the title. The OEM Part Number for this piece is 06A906461D or 06A 906 461 D.
Includes: New MAF electronics and New MAF housing.